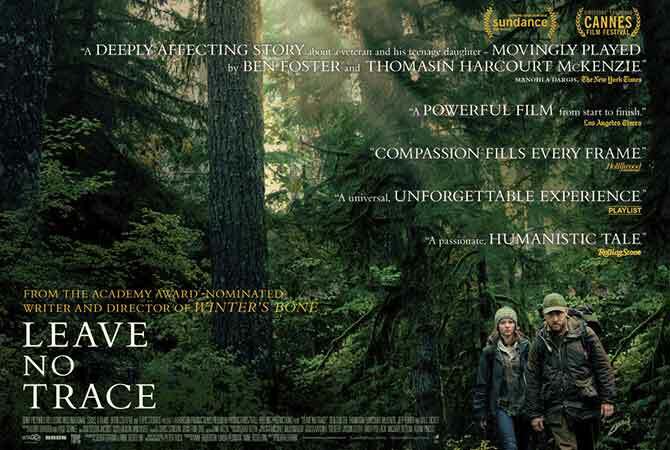 Filmmaker Debra Granik comes Center Stage with Mark Gordon to talk about her latest film LEAVE NO TRACE, a gripping father/daughter story starring Ben Foster and featuring the stunning breakout performance of newcomer Thomasin Harcourt McKenzie. Debra Granik directed and co-wrote Winter’s Bone, which was nominated for four Academy Awards: Best Picture (producers, Anne Rosellini and Alix Madigan), Best Actress (Jennifer Lawrence), Best Supporting Actor (John Hawkes), and Best Adapted Screenplay. The screenplay by Ms. Granik and Ms. Rosellini was adapted from Daniel Woodrell’s novel of the same name. Among other honors, Winter’s Bone was named Best Feature at the Gotham Independent Film Awards; won the Grand Jury Prize and the Waldo Salt Screenwriting Award at the Sundance Film Festival, where it world- premiered; and won the Humanitas Prize. Her first feature was Down to the Bone, which she directed and co-wrote and which world-premiered at the Sundance Film Festival, where Ms. Granik was voted the Directing Award and the film’s star Vera Farmiga was voted a Special Jury Prize. The filmmakers were nominated for the John Cassavetes Award at the Independent Spirit Awards and Ms. Granik also received a Gotham Independent Film Award nomination; Ms. Farmiga was named Best Actress by the Los Angeles Film Critics Association. In 2014, Ms. Granik completed her documentary feature Stray Dog, which later aired on PBS and was nominated for an Independent Spirit Award. The film’s subject is Ron “Stray Dog” Hall. LEAVE NO TRACE opens June 29, 2018.